I hope you all familiar with ROLLUP Function now. If not please read before get into CUBE Function. 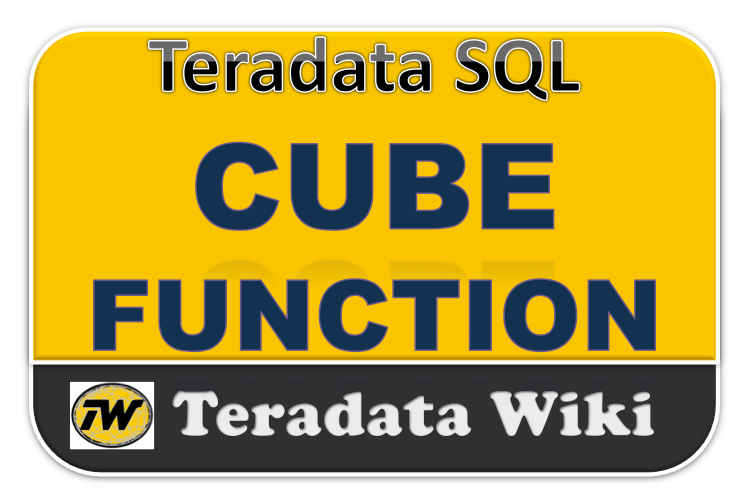 The CUBE function can be called as Superset of RollUP function. Because It returns the same result set as ROLLUP along with provides some additional information. Instead producing a 'hierarchy' of results, CUBE looks at all permutations of the specified dimensions. Let take an example , Produce a 'CUBE' report showing employee salaries across the dimensions of department and manager. If you observe there are four additional rows (green) are included in the output. These four rows represent the totals by manager.This report shows all possible permutations of the two specified dimensions. Yes, The output is exactly returns same.There is no difference in output becacuse CUBE function looks at all permutations of the specified parameters, order of the arguments doesn't matter - unlike ROLLUP where it does matter. we can use the GROUPING and COALESCE functions to make the report more readable. As more dimensions are added to the cube, more permutations and thus more rows will result. Produce a 'cube' report showing employee salaries across the three dimensions of department, manager and job code for department numbers less than 302.